The comment got me thinking. At first, I was quite flabbergasted and speechless. Agreed, the term is not complimentary, but I had considered it mainly to be a humorous term that was basically stating a truth. Men often do sit with their legs apart. It can show swagger, confidence, and suggest dominance. It can be due to their height, the taller the man, the more difficult it is for him to close his legs when seated in public transport. “The overall width of the pelvis is relatively greater in females and the angle of the femoral neck is more acute. These factors could play a role in making a position of sitting with the knees close together less comfortable in men,” he told The Independent. “I suspect most men would suggest the reason for adopting the more spread posture in sitting would be the avoidance of testicular compression from the thigh muscles. The pelvic rotation goes some way to improve compression in both aspects,” Sutcliffe continued. I suppose that makes sense. The phenomenon is dictated by physiological differences that are inherent in men and women's bodies. Both this posture and the use of the neologism "manspreading" have occasioned some internet criticism and debates in the US, UK, Turkey, and Canada. The public debate began when an anti-manspreading campaign started on the social media website Tumblr in 2013; the term appeared a year later. OxfordDictionaries.com added the word "manspreading" in August 2015. 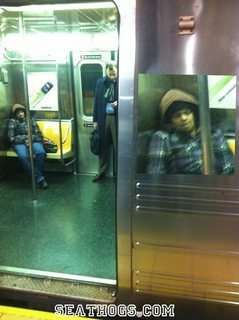 Use of the term has been criticized as "a caricature of feminism" and the practice has been juxtaposed with examples of women taking up excessive space in public spaces with bags. 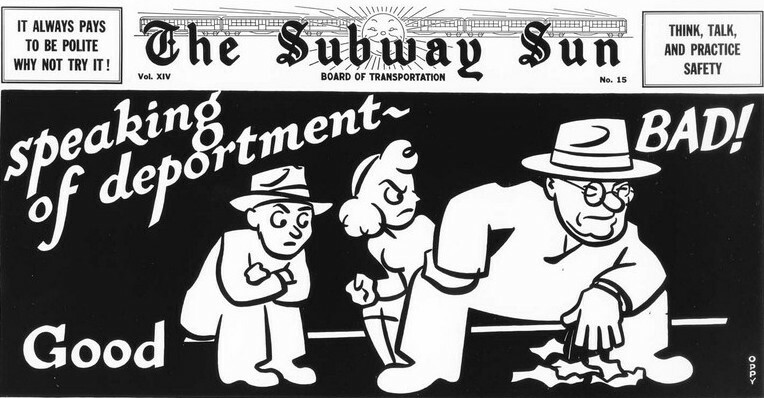 The criticism and campaigns against manspreading have been counter-criticized for not addressing similar behavior by women, such as taking up adjacent seats with bags, or "she-bagging". But it's not a perfect fit. And she-bagging doesn't work if you're talking about an airplane seat, does it? What would be a gender-neutral equivalent of manspreading. A term that would not offend men, but could be applied to both sexes? 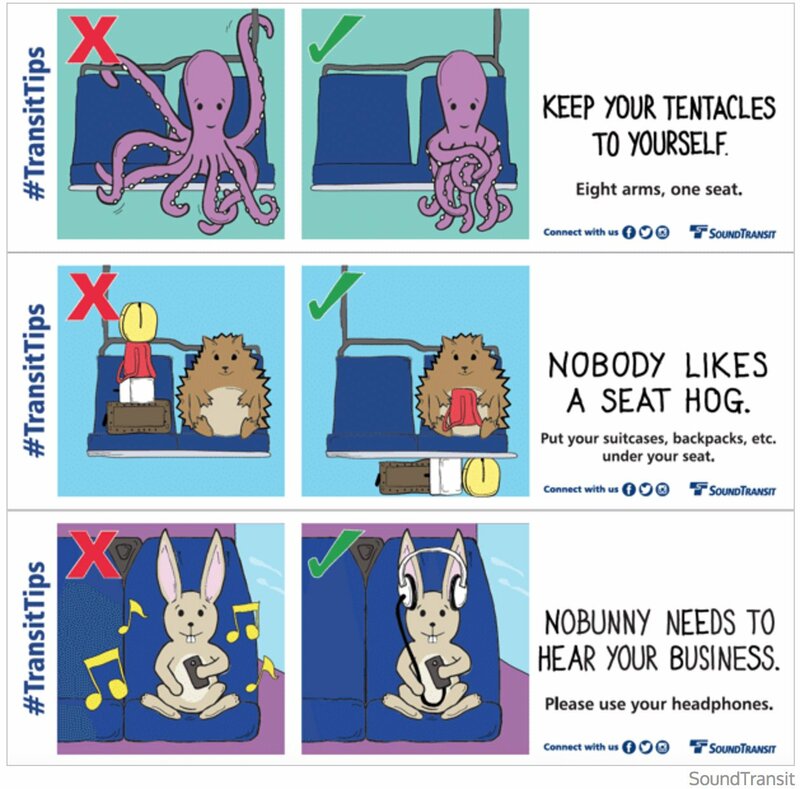 Without having an example sentence, it's hard to suggest a perfect fit, but I would suggest "seat hog" or "seat hogging." SeatHog – noun – \ˈsēt-hog\ – a selfish or clueless individual who deprives another individual of any reasonable or unimpeded opportunity to sit down. b. orig. U.S. Chiefly with modifying word: a person who appropriates or monopolizes something in a greedy and selfish manner. Cf. hog v.1 7b. * Seattle metro area, the "Sound" refers to the Puget Sound, which lies directly west of Seattle. 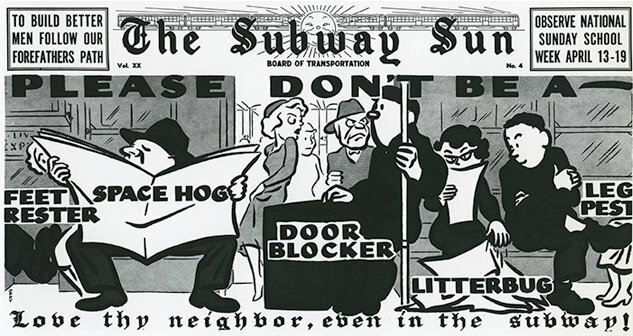 Designed by Amelia Opdyke Jones for the New York City Subway, these posters were in use for over 40 years beginning in 1918. This answer, edited, was being composed when @Azor Ahai posted his answer "seat hog". My comments, first and foremost, thanking him and then apologising for posting a similar answer were deleted. Legs akimbo: knees bent and protruding from the trunk. How about "knee-spreading"? It doesn't cover the case where someone has excess bags but it could refer to any person of either gender who is sitting with their legs spread far apart. Not the answer you're looking for? Browse other questions tagged single-word-requests phrase-requests american-english gender-neutral or ask your own question. What is gender neutral for fraternity/sorority?